Jeffs & Jeffs, P.C. 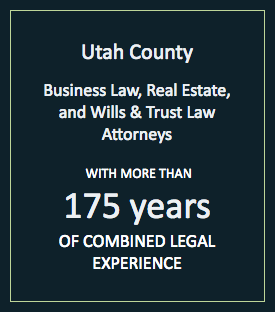 provides quality, affordable legal service to commercial real estate clients in Utah. 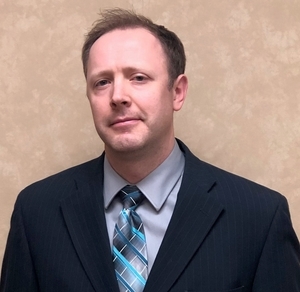 We are equipped to assist you with all matters related to commercial real estate — from complex contract disputes to issues related to buying, selling or leasing properties. Additionally, our team of attorneys has more than 175 years of combined experience practicing law. As a result, we are aware of the many dilemmas that often arise in commercial real estate law and we are prepared to handle them head on in order to protect your interests. What can a commercial real estate lawyer do for you? Property valuation: Whether you are buying or selling commercial real estate, it is essential that you have the property evaluated. Our knowledgeable lawyers can coordinate valuation specialists to properly assess the value of the land or commercial real estate you wish to purchase or sell. Due diligence: It is your responsibility to investigate a commercial real estate transaction. If you do not conduct the proper research and the property is not suitable, your development project can be derailed. Our Provo attorneys can perform due diligence to ensure your commercial real estate transaction goes as smoothly as possible. Additionally, we can negotiate with other parties to assist you in obtaining a fair resolution for your case. Commercial real estate contracts: In addition to covering construction, property rental and insurance coverage, as well as the sale of property, we can review your commercial real estate contracts to ensure they contain necessary certainty in terms such the price, date the sale should be completed by and conditions that each party must satisfy in order to avoid a breach of contract. Our firm has practiced real estate law for more than 50 years. We have the experience, skill and knowledge to assist you with any issue you face. If a dispute arises regarding any aspect of your commercial real estate transaction, our experienced lawyers are prepared to enter fierce litigation. At Jeffs & Jeffs, P.C., we strive to provide every client who walks through our doors with the highest level of legal service and attention. To speak to one of our experienced attorneys, please contact us today by phone at 801-373-8848 or via our online form. We have flexible hours, free parking and are located two blocks from the Provo courthouse and one block from the new Latter-Day Saints Historic Provo Temple.